We are pleased to share the July issue of the European Bioplastics Bulletin with you, containing the latest news and insights from the bioplastics industry. If you have any questions, comments, or interesting news or topics to share, please do not hesitate to contact us. 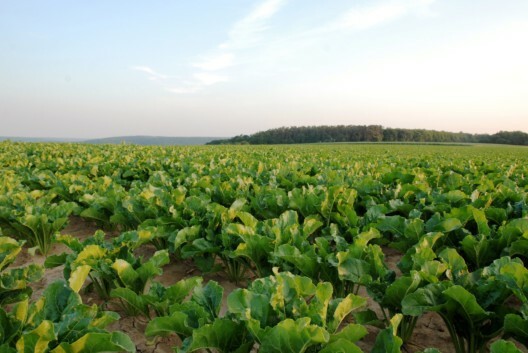 "With Europe’s commitment to transitioning to a circular economy, bioplastics are high on the political agenda thanks to their potential to close the carbon loop and decouple economic growth from depleting our planet’s natural resources. Despite this, the bioplastics industry in Europe is still hampered by the lack of a level playing field“, writes Hasso von Pogrell, Managing Director of EUBP, for The Parliament Magazine. 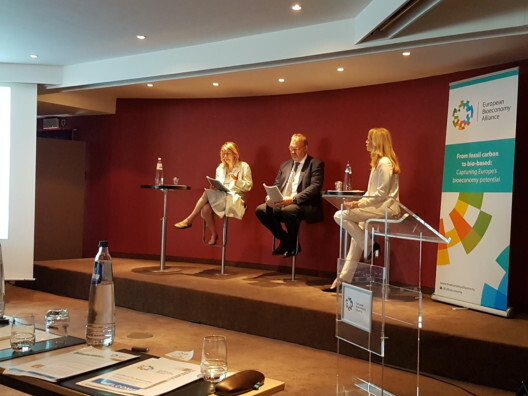 On 9 July, the European Bioeconomy Alliance (EUBA) invited EU policy makers and relevant stakeholders to join a discussion forum on the ‘Benefits of the Bioeconomy‘ in Brussels. The forum discussed how a strong EU bioeconomy can contribute to achieving the UN Sustainable Development Goals (SDGs). 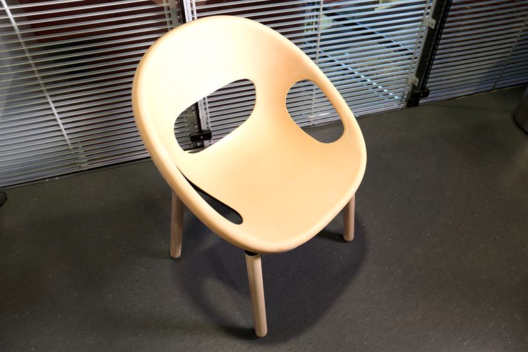 In each issue of the Bioplastics Bulletin, we present five facts about a member of European Bioplastics. 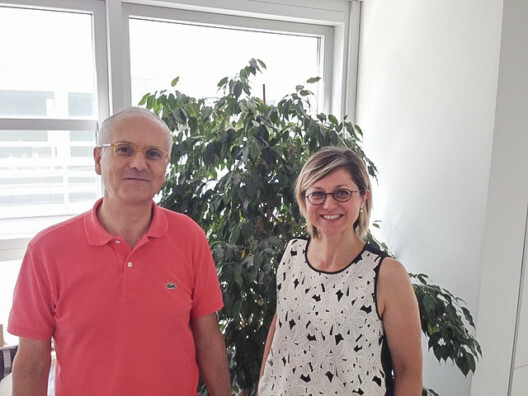 This month, Paola Fabbri, Associate Prof. Of Materials Science and Technology at University of Bologna, and Maurizio Fiorini, Associate Prof. Of Principles of Chemistry for Applied Technologies, shares some information on one of the oldest and leading universities in the field of bioeconomy and biotechnology research. 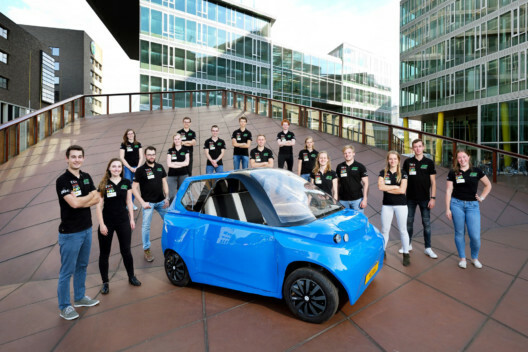 The world’s first bio-based, circular car has been successfully designed and built in the Netherlands by the Technical University of Eindhoven. This is the first time that a car chassis and all bodywork has been made from natural and bio-based materials - no metal or traditional plastics were used for the structural parts of the car. The parts are made up of light and strong sandwich panels, based on natural fiber flax and Luminy® PLA supplied by Total Corbion PLA. 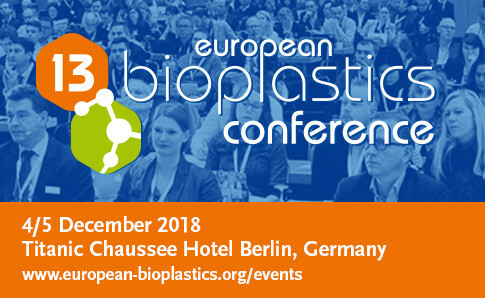 The 13th edition of the annual European Bioplastics Conference, taking place on 4/5 December 2018 at the Titanic Chaussee Hotel in Berlin, will focus on advanced innovations in bioplastics as well as on environmental aspects and opportunities for growth. A dedicated session on sustainability criteria for plastic products will discuss the latest standardisation efforts in this field and further look at opportunities and shortcomings of the life-cycle-approach. 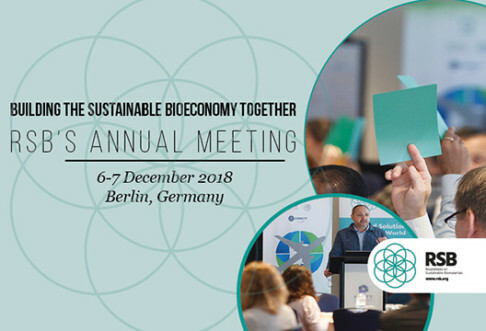 A detailed look into this year’s programme of the leading business and networking event for the bioplastics industry will be available after the summer break. You can already secure your place and register on the conference website. 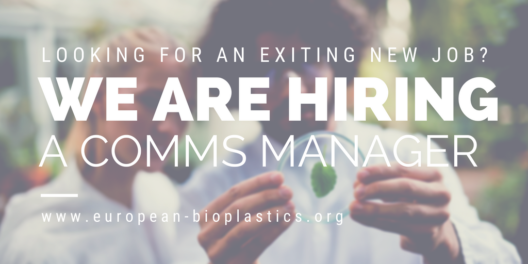 Looking for an exiting job in the bioplastics industry? We are hiring a Communications Manager (m/f) to join our team in Berlin, starting in September. It’s a versatile and responsible role at the interface of politics and industry with a lot of creative freedom and a strong network in the bioeconomy in Europe. Interested? Read the full job description after the jump. Nuremberg, Germany Wissensforum "Biobasierte Kunststoff-Verpackungen"
You have received this email because you have subscribed to www.european-bioplastics.org. If you do not wish to receive this information, please reply to this email with “unsubscribe“. © 2019 www.european-bioplastics.org, All rights reserved.